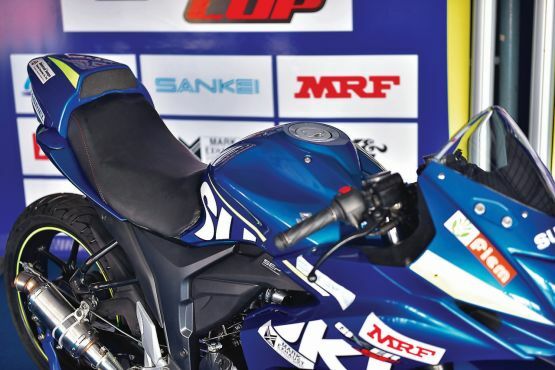 Just three months after we first rode the Suzuki Gixxer SF fully faired ‘street sport’ bike, I was barrelling down the main straight of the Kari Motor Speedway in Coimbatore on the race version of the motorcycle. 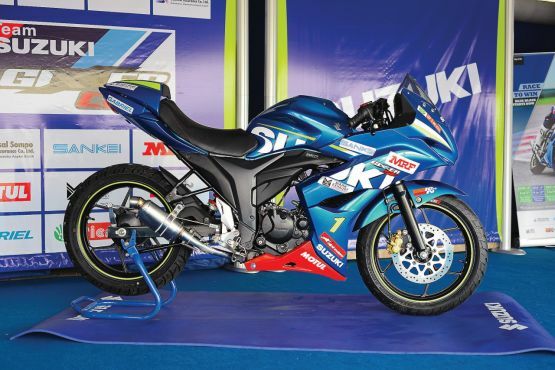 The Gixxer SF race bike has been developed exclusively for Suzuki’s one-make racing championship, the Gixxer Cup, and feels quite different from the road bike. To start with, the committed riding position of the race bike is more suitable on a racetrack than the generic posture offered by the road bike. 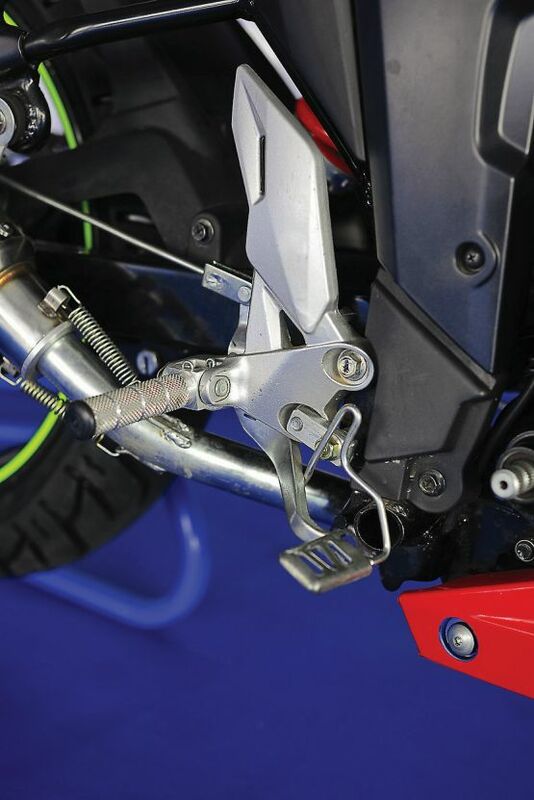 It gets proper clip-on handlebars and the front end has been dropped by 20 mm by pulling up the front fork, while the race foot-pegs are more rear-set. The seat remains unchanged but gets a well-finished cowl on the pillion section for better aerodynamics. The SF race bike weighs almost 20 kg less after losing the lights, mirrors, side- and centre-stand, turn indicators, grab-rails, number-plates and the stock exhaust. 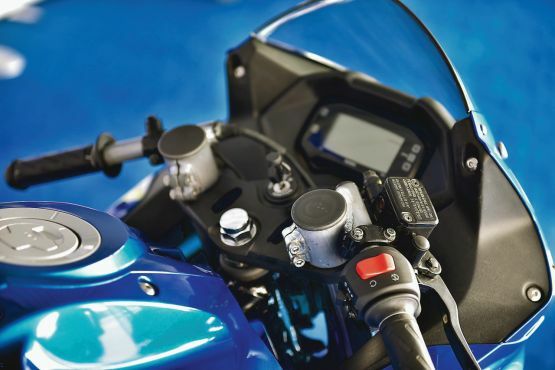 The 154.9-cc single-cylinder engine has no internal changes but it breathes better from the new air-filter, has a short free-flow exhaust and the carburettor jetting is changed as per requirement. That itself has led to a significant boost in power and torque without increasing the rev-limit of 10,500 RPM. 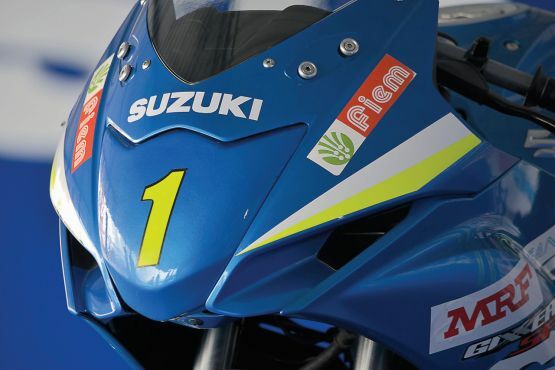 Suzuki haven’t tested the bike’s performance on a dyno yet but they expect the power output to have gone up by about 3.5 PS over the road bike. 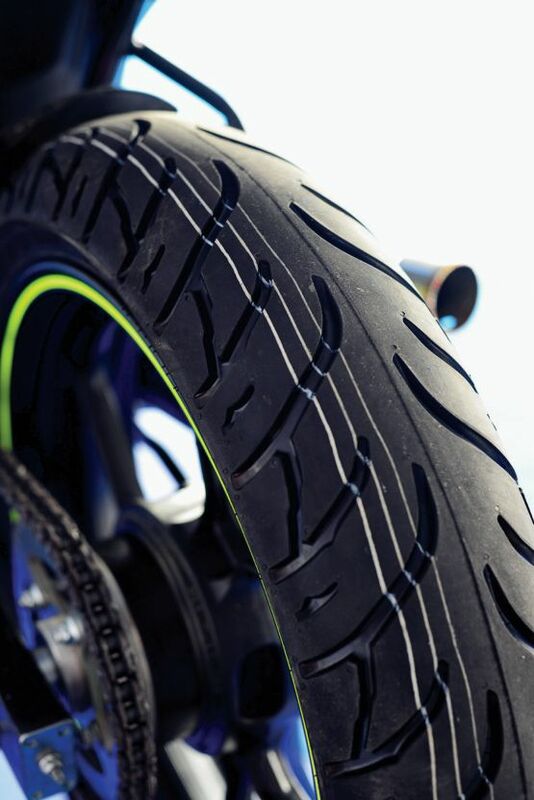 The overall gearing of the race bike has been changed by adding one more tooth on the front sprocket and it also gets extra soft-compound tyres especially developed by MRF in the same size as the ones on the stock bike.